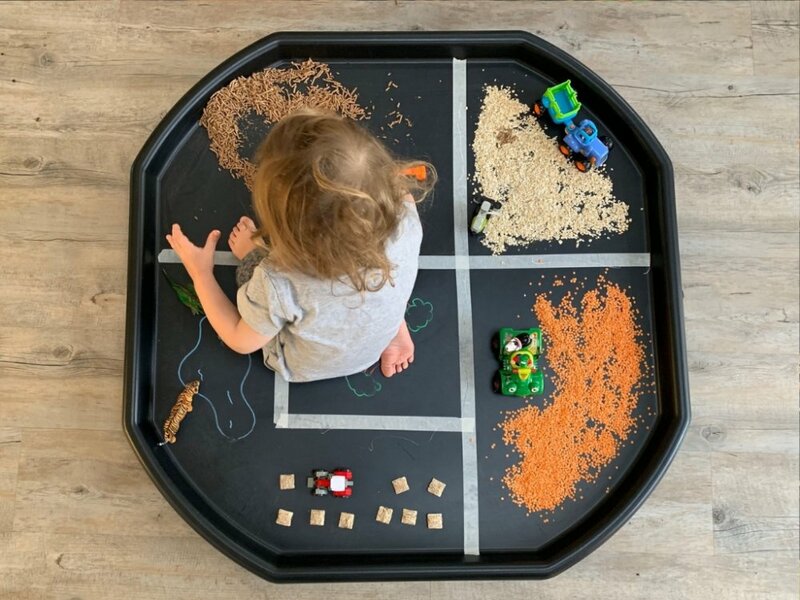 The toddler was very specific about wanting different ‘fields’ so we used masking tape to mark these out on the tray. It’s better than drawing them on as it stays on a little better. 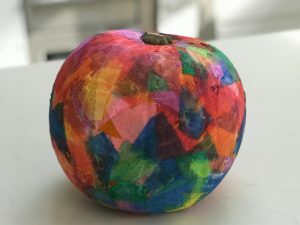 You don’t need to mark out different fields though, you can just create different zones naturally if you don’t have tape or chalks. 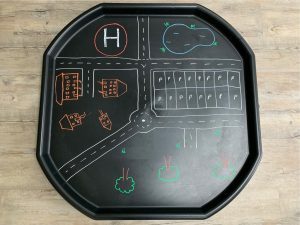 We used the chalk pens to draw on a lake and some trees for the animals to give a little detail. Then we made our way into the toy drawers and pulled out a handful of small tractors, trailers and diggers as well as some of the animals. Our farm animal selection today consisted of a tiger, a handful of dinosaurs and a dog… what can I say, it’s an eclectic place! 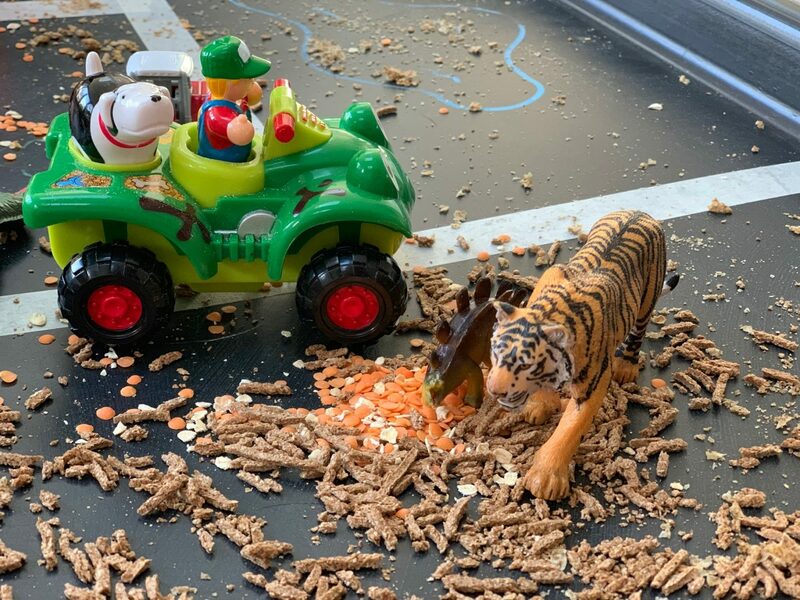 The reality is that the toddler didn’t care if it was a tiger or a cow, he just wanted animals to herd and if anything, dinosaurs made it more fun! 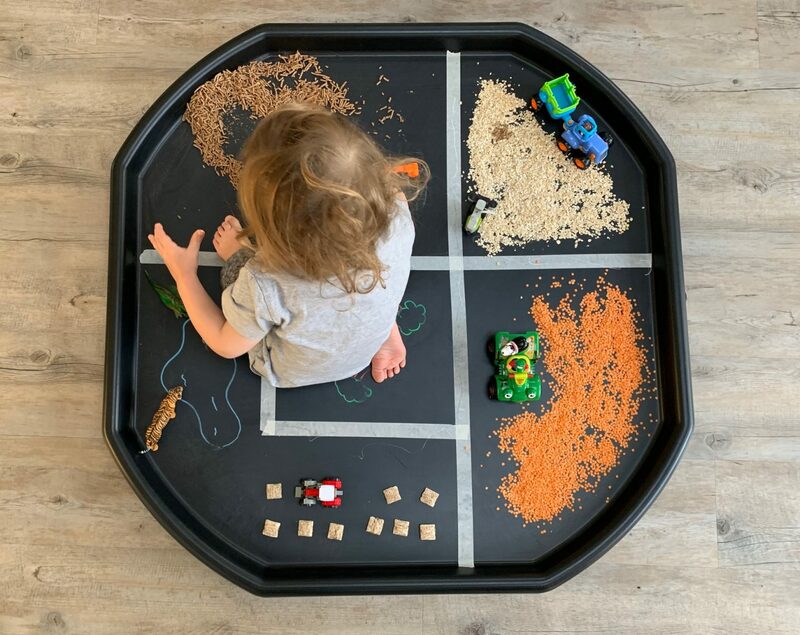 Pop the animals in different places around the tray, set up the vehicles in each field and let your child loose! 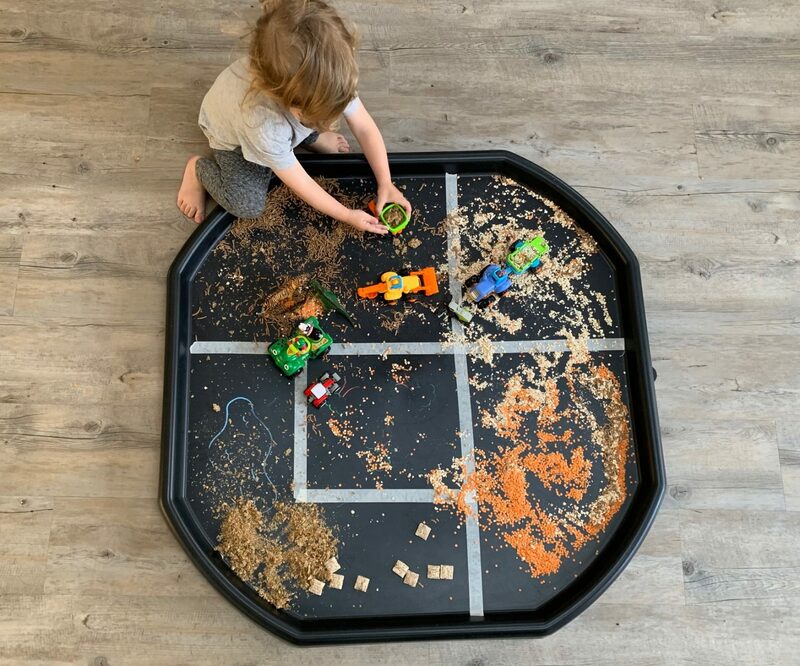 For more tuff tray fun, click here! 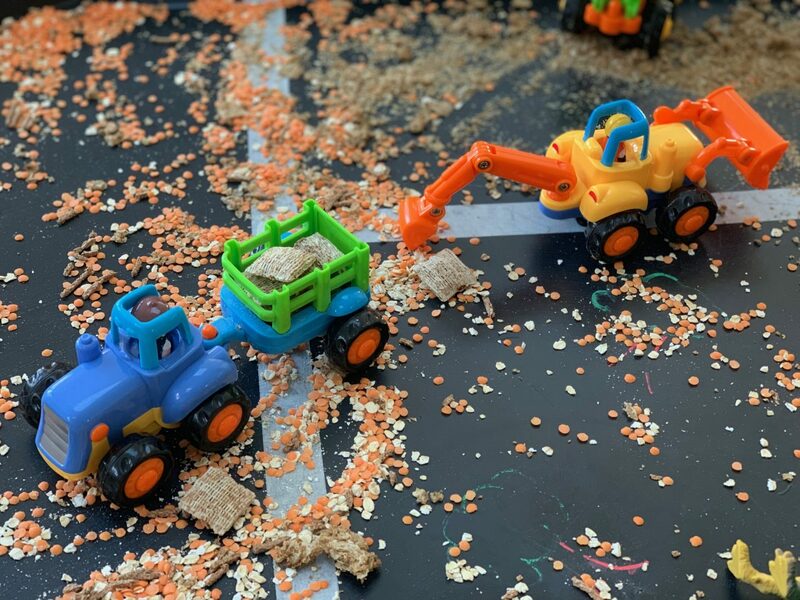 Love this idea, my older two will like playing and my youngest will enjoy eating the cereal! 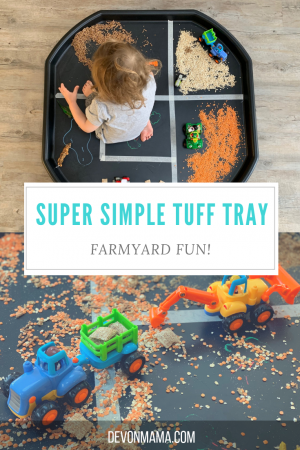 I am aiming to do a tuff tray set up every Tuesday so always keen to gather ideas to use!